As every pool or spa owner knows, with ownership comes the occasional pool or spa repair. By working with the trusted pool and spa professionals at H.O.T. Pool & Spa, you can rest assured that your pool or spa issue will be properly diagnosed and repaired according to the highest standards of quality and service. From structural pool repairs to hot tub or pool equipment repairs, our technicians are highly trained and qualified to handle your every pool repair need. There will come a time when every Waco pool will need a bit of a makeover, and the renovation and remodeling experts at H.O.T. Pool & Spa are here to help. Whether you are looking to modernize your poolscape, enhance its safety or want to add new and exciting features, we will transform your existing pool into one which meets your lifestyle and budget. Click on the tabs below to learn more about pool repair and renovation services from H.O.T Pool & Spa. Call us today to schedule an on-site consultation. We’ll troubleshoot your issue and make our professional recommendation. If possible, we’ll fix your problem on the spot so you can get back to enjoying your pool or spa. For more complex issues, we’ll create a repair plan that suits your schedule. We also replace aged and inefficient components with the latest and most innovative pumps, heaters, chlorination systems and cleaning systems so that you can optimize energy use while reducing the amount of time and money you need to spend maintaining it. Rejuvenate your poolscape with H.O.T. Pool & Spa and give us a call today! Old or damaged pool equipment can not only compromise the overall efficiency and safety of your pool system, but can also sky rocket your utility bills. Our qualified technicians can repair or replace your pool equipment quickly and for a fair price. As an authorized warranty station for Jandy, Pentair and Hayward pool equipment, and Polaris and Maytronics pool cleaners, our pool repair technicians are factory trained and specialize in installing and repairing these manufacturer’s products. As an added bonus, we don’t charge a labor fee for in-store Polaris repairs under 30 mins, only for the parts! 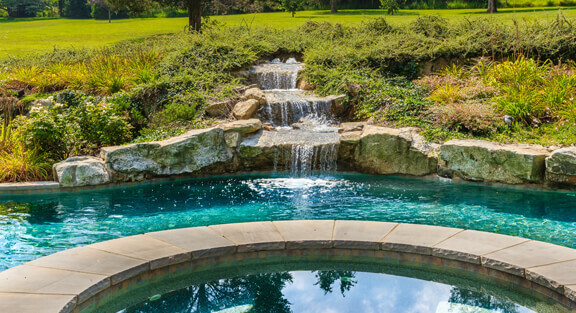 During your initial consultation with us, we will survey your property and take the existing poolscape and landscaping into consideration when drawing up your pool renovation plans. Our experts will then explain the process of how we can transform your poolscape, such as adding energy-efficient equipment, a therapeutic spa, replacing broken tiles or plaster, repairing buckled decking and renovating your pool to include fun features like benches, tanning ledges, rock grottoes and swim-up bars. Enhancing the appearance of your pool isn't the only reason to give it an update. H.O.T. Pool & Spa makes sure that your pool is safe for you and your guests by replacing old fixtures and plumbing, installing pool lighting and safety covers, and solving any drainage issues you may be experiencing. Unfortunately, we have seen pool owners regret hiring non-professionals to install their pool liners because they often make many mistakes that compromise the integrity of their pool. When buying a pool liner from H.O.T. 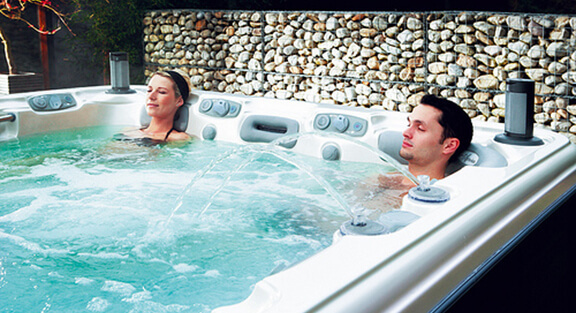 Pool & Spa, you can rest assured of a fast and quality installation backed by the best professional service department in the area. Contact us today for a quote on your inground vinyl liner replacement!